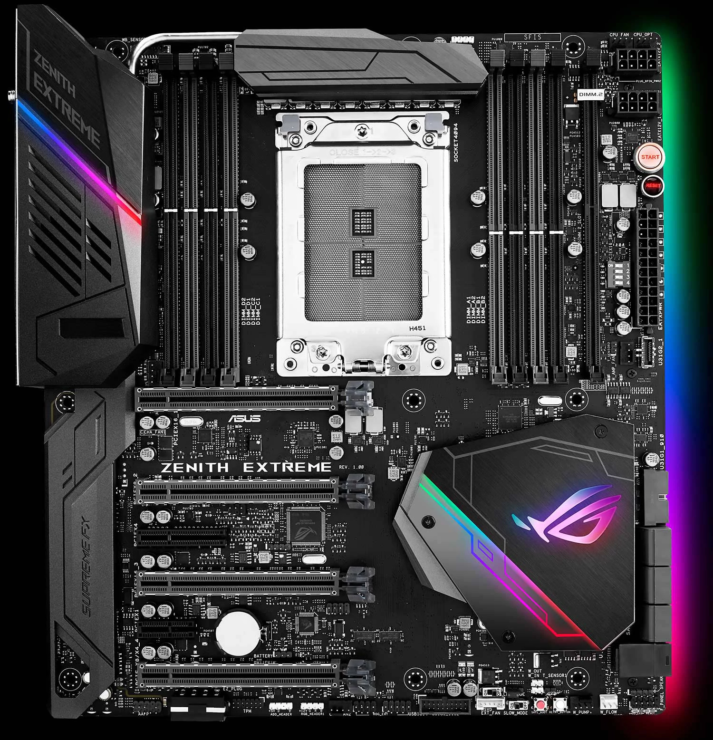 ASUS has just detailed their high-performance AMD X399 and AMD X370 motherboards. The new boards are designed to power AMD’s Ryzen and Ryzen Threadripper processors. 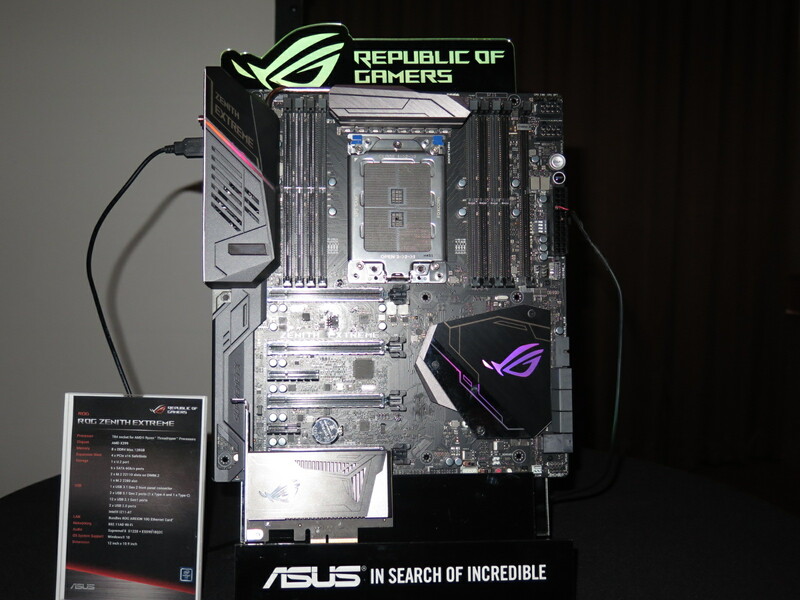 There are a ton of products unveiled by ASUS and the ones we focus on in this article are based on AMD designs. 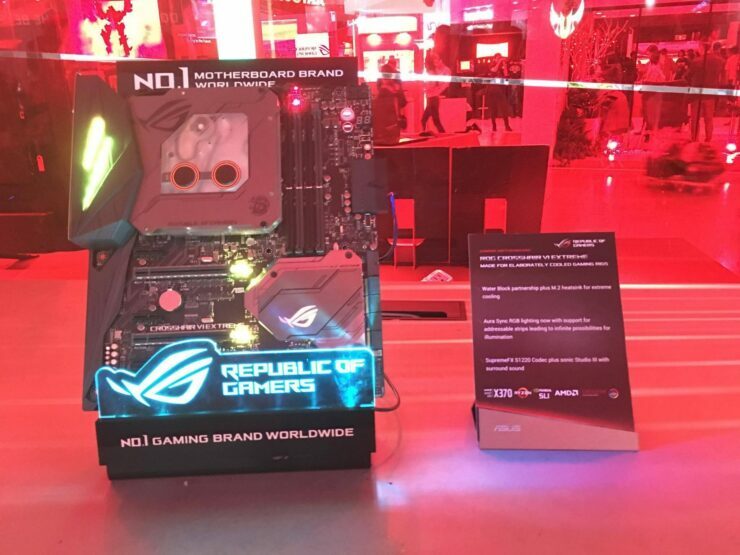 AMD has showcased their flagship ROG X399 Zenith Extreme motherboard along with the X370 ROG Crosshair VI Extreme which look fantastic. 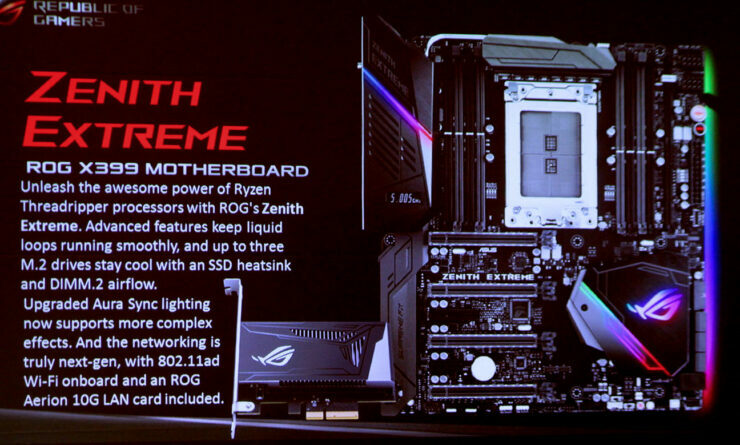 The ASUS ROG X399 Zenith Extreme aims to be ASUS’s flagship AMD offering. 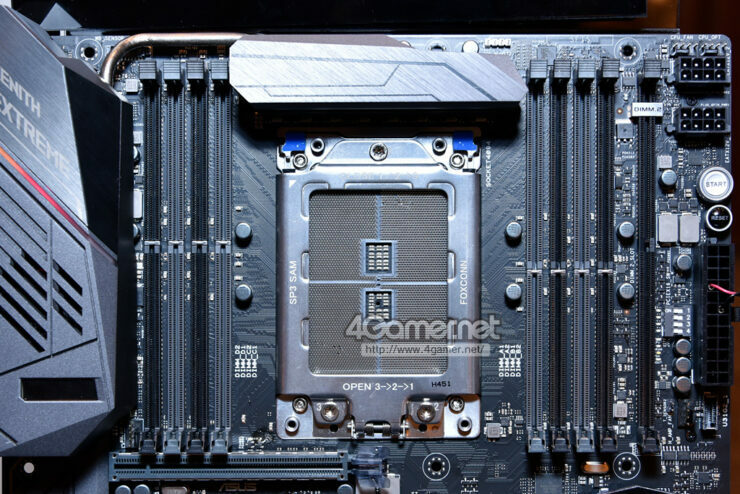 The motherboard has the massive SP3 socket which is also known as TR4. 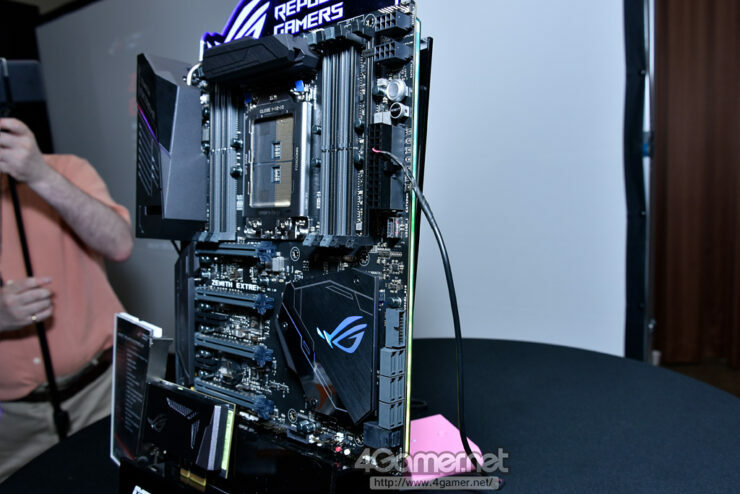 It features 4094 pins and houses AMD’s Ryzen Threadripper processors with up to 16 cores and 32 threads. Power is provided through a dual 8 pin connector configuration along with a 24 pin ATX connector. There are a total of eight DDR4 DIMM slots on the board along with a fifth DIMM.2 slot which can support up to two NVMe M.2 drives. Expansion slots include four PCIe 3.0 x16, a single PCIe 3.0 x4 and a single PCIe 3.0 x1 slot. 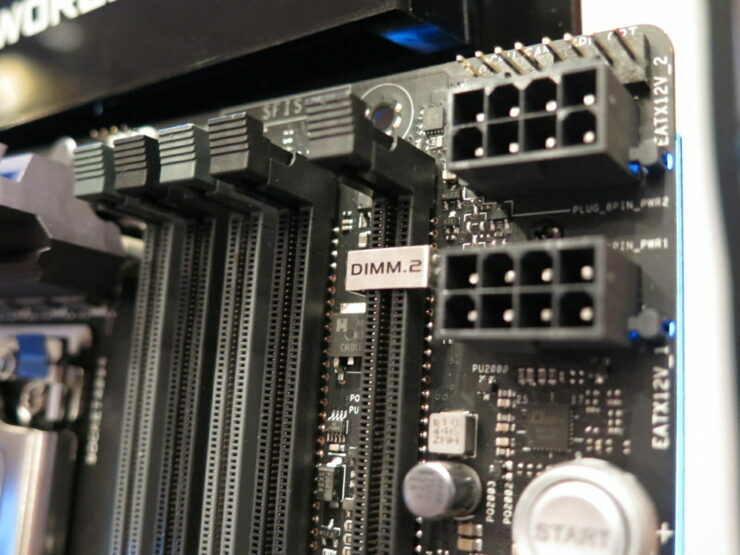 The M.2 ports as detailed are only available through the DIMM.2 riser card. Moving on to storage, we are looking at 6 SATA III ports, a single U.2 port, dual USB 3.0 front panel headers and an internal USB 2.0 port. 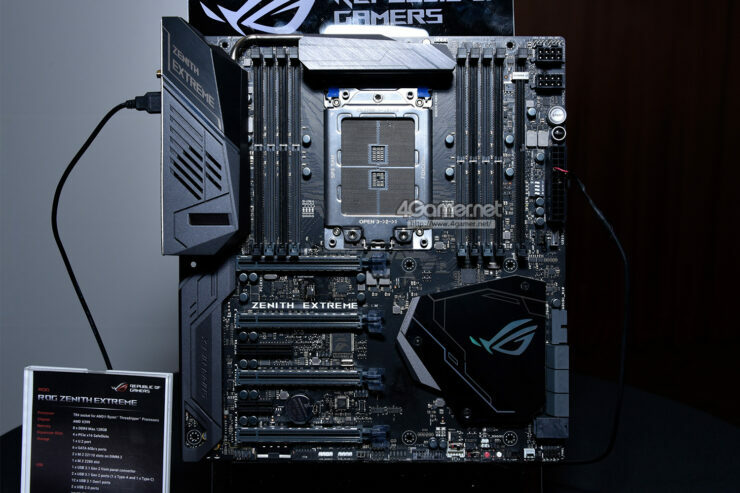 The motherboard fully supports ASUS AURA Sync lighting technology and includes the latest SupremeFX audio system on board the PCB. Designed to propel high-end AMD desktops to the next level, the Zenith starts by optimizing everything around the CPU and its beefy, server-style TR4 socket. 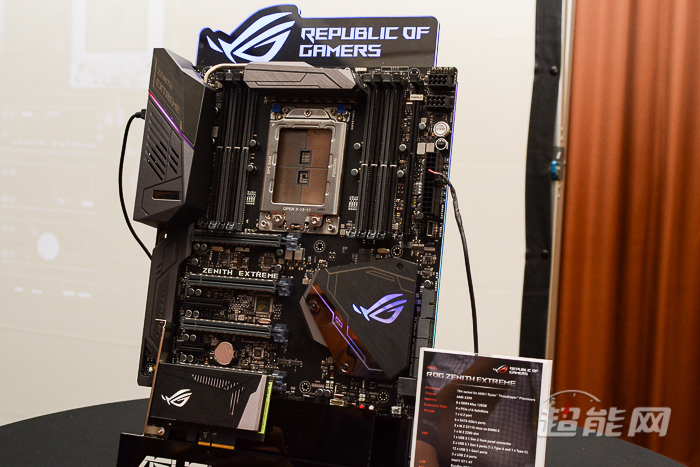 The board uses the same power solution as the Rampage VI Extreme based on Intel’s competing X299 platform for Skylake-X and friends. This incarnation adds cooling for serious overclocking with a finned VRM heatsink and fan tucked under the I/O shield. The fan only comes on when demand dictates, making it stealthy for day-to-day use. 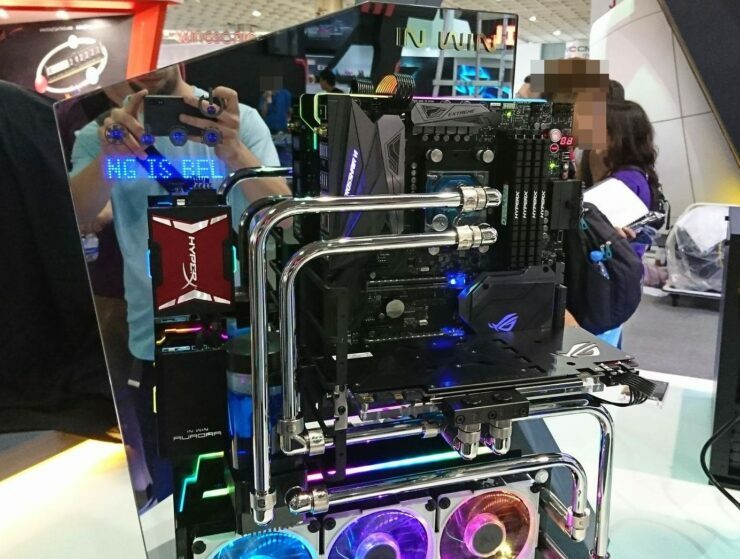 Cooling improvements extend to liquid loops with a special header capable of monitoring leaks, flow rates, and temperatures in compatible water blocks. You also get standard headers for off-the-shelf pumps, flow meters, and all-in-one water coolers. These are complemented by a comprehensive assortment of fan headers and accompanying enhancements, like auto-detection for 3-pin DC and 4-pin PWM fans, and calibration routines that tune RPM curves based on the individual properties of each one. The proverbial “Cool and Quiet” mantra got its start with the old Athlon 64, and we’ve really taken the theme to heart. Our motherboard fan controls constantly evolve to give you smarter cooling with quieter acoustics. Recent additions include adjustable hysteresis, which controls how quickly or slowly fans react to brief bursts in activity; and grouping, which lets you bind multiple temperature sensors to a single fan so it can react intelligently to a wide range of workloads. The addition of GPU temperature sensing for compatible graphics cards lets you tailor your cooling specifically for gaming loads that heat up the GPU more than any other component. 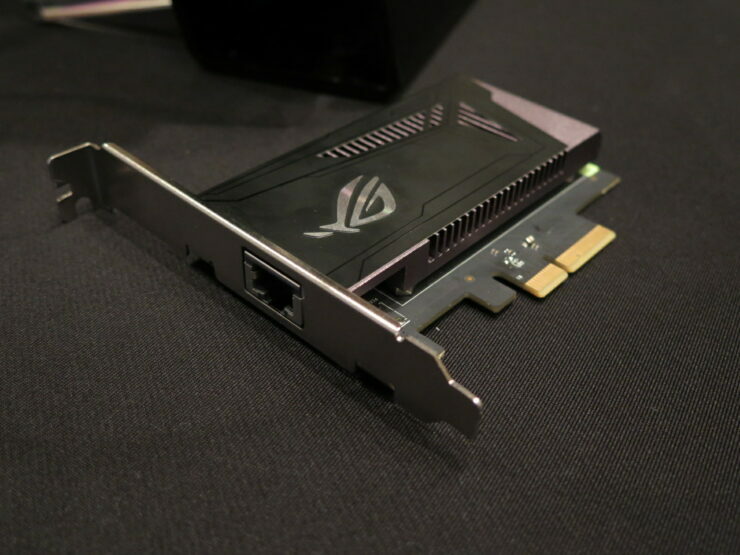 This capability is especially important considering the Zenith Extreme can hold up to four graphics cards in its structurally reinforced SafeSlots. 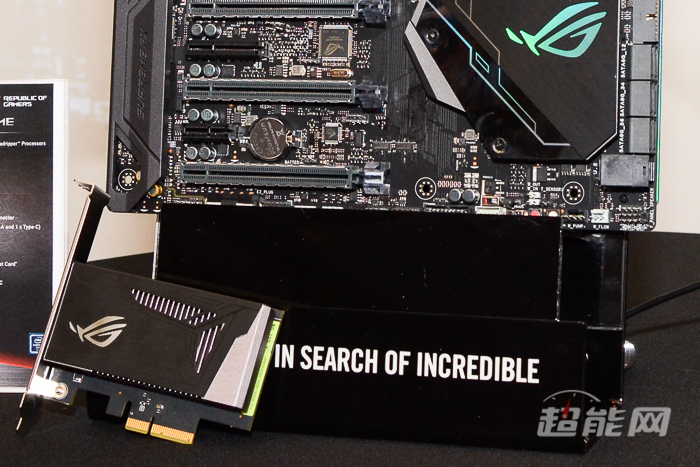 The new breed of insanely quick M.2-based NVMe SSDs can overheat when they’re pushed to the limit for sustained periods, which is the last time you want to suffer slowdowns. 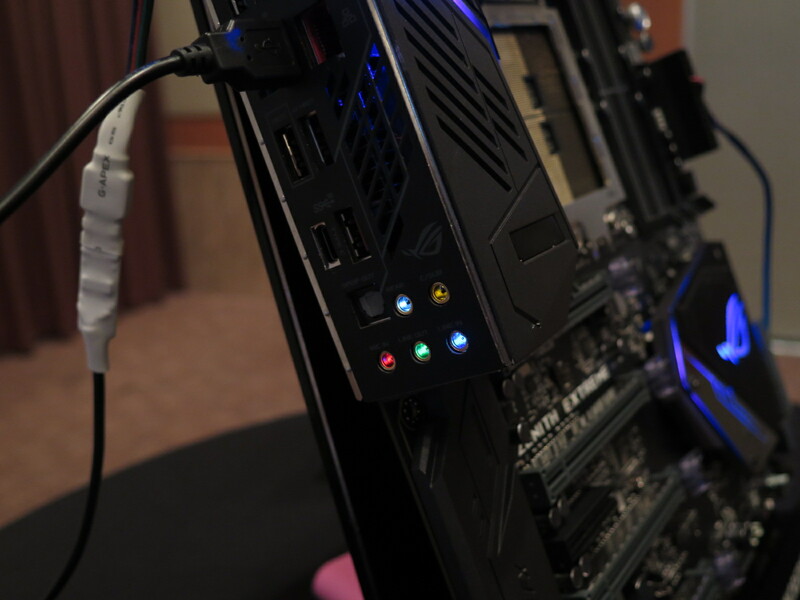 To help maintain performance under pressure, the Zenith applies cooling to storage as well. 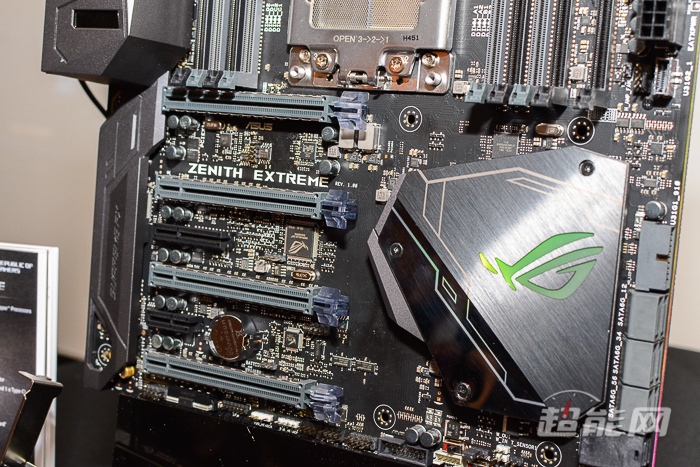 Drives in the onboard slot are covered by the substantial chipset heatsink. Two more slots are available in an included DIMM.2 card that stands up drives next to the memory slots. This placement puts SSDs in the path of typical chassis airflow, and the module has mounts for fans up to 60 mm if you want direct cooling. On the I/O side, the motherboard is feature rich with tons of connectivity. There’s a reset and BIOS flashback switch, USB ports include 8 USB 3.0 and two USB 3.1 (Type-A + Type-C ports). 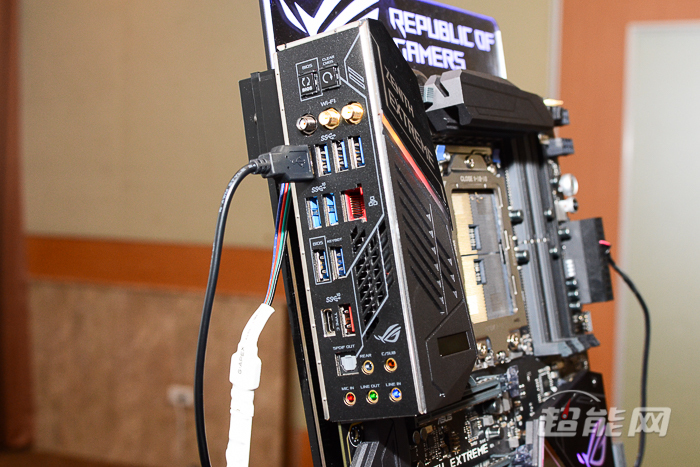 For LAN, it features a ROG Aerion 10G LAN card included in the box along with an Ethernet port. 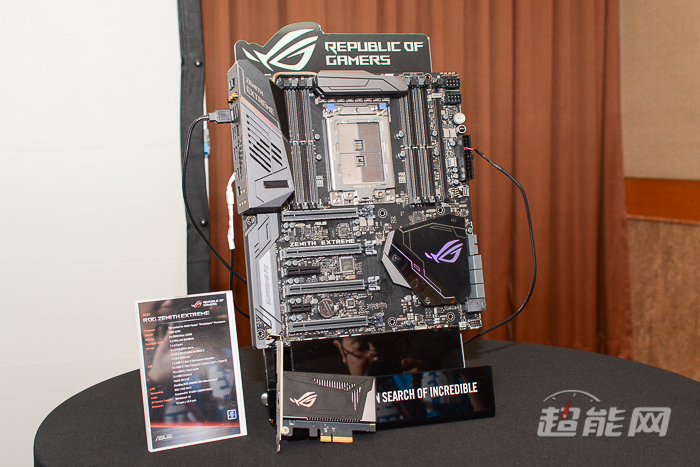 ASUS 802.11ac Wi-Fi functionality is also found on the motherboard which is really impressive.